In July, I found myself looking back at some literary masters, publishers looking at new ways to sell books, writers thriving on social media, and a few lessons, bad and good, in our ongoing efforts to live the writing life. Please enjoy. I was saddened to hear the news of the loss of one of my favorite writers Nadine Gordimer. In a year of saying goodbye to some of our best writers, this one hurts. Writers have a hard enough time finding readership — do we really have to worry about deceased literary heavyweights vying for a share of the marketplace? Last month, I highlighted new poems from Neruda. In July, Grove announced that it is issuing a lost story from Samuel Beckett. Scribner is also reissuing Hemingway’s classic novel The Sun Also Rises with a previously discarded first chapter. It seems as though publishers are starting to mimic movie studios in the way they mine old material to obtain a new audience. Kate Angus penned a great article at The Millions about how, even with the proliferation of MFA graduates and the hard work of small press and mainstream publishers, Americans seems to love poetry just not poetry books. Writers Who Run the Literary Internet? Flavorwire published a spotlight on 35 writers who run the literary internet. While it looks as though a few on the list purchased followers and reach on Twitter, most of the writers highlighted here are worth following. No Forbes isn’t the Onion, but it saw fit to publish Tim Worstall’s article “Close the Libraries and Buy Everyone an Amazon Kindle Unlimited Subscription. We all know the public library system is no engine of efficiency, but it provides more than just books to our communities (such as computer and internet access). Digitization is part of the future, obviously, but we need to find a way to support those of us who can’t afford the internet fast lane. In June, poets were in the news with freshly discovered work from a master, a new US Poet Laureate, the loss of an influential voice, and insights into Anne Sexton’s Pulitzer Prize selection. All this, plus more from Hachette v. Amazon. Do you sometimes wonder what the world would be like if one of your favorite writers published new work? 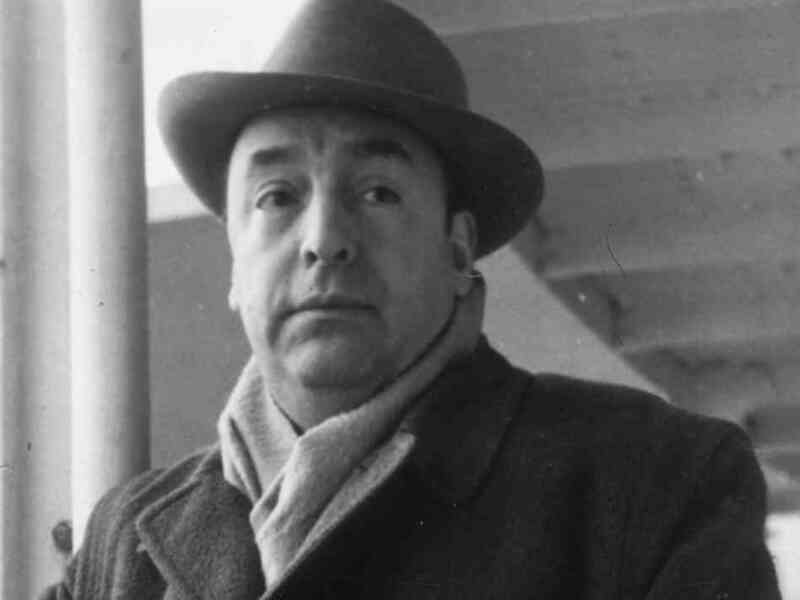 Seix Barral, Pablo Neruda’s longtime publisher, announced that 20 Neruda poems have been discovered in his archives and will be published in late 2014 / early 2015. Interested in how Anne Sexton won the Pulitzer Prize? 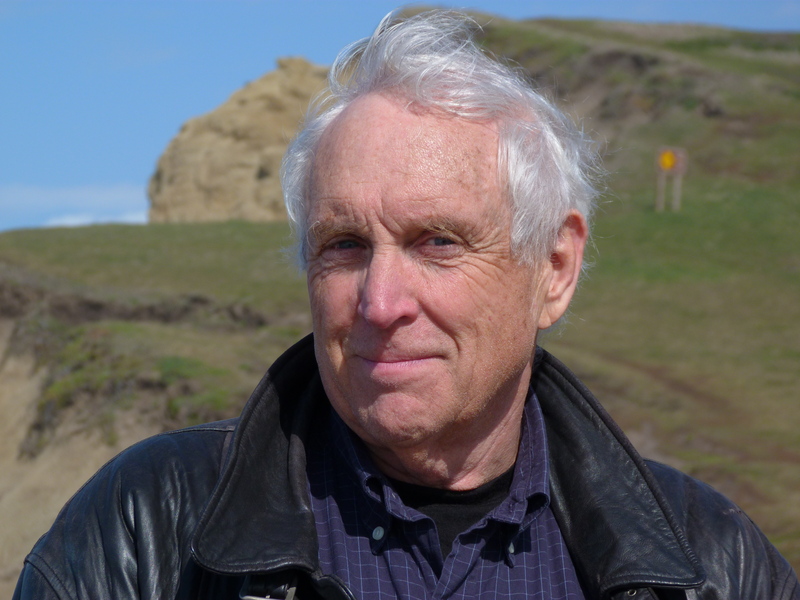 In the Poetry Foundation blog, David Trinidad gives us insights into the world of Pulitzer Prize judging by digging into the Chronicles of the Pulitzer Prizes for Poetry and revealing how judges’ arguments over books by Plath and Roethke provided the backdrop for Sexton’s selection. New US Poet Laureate Will Do…? 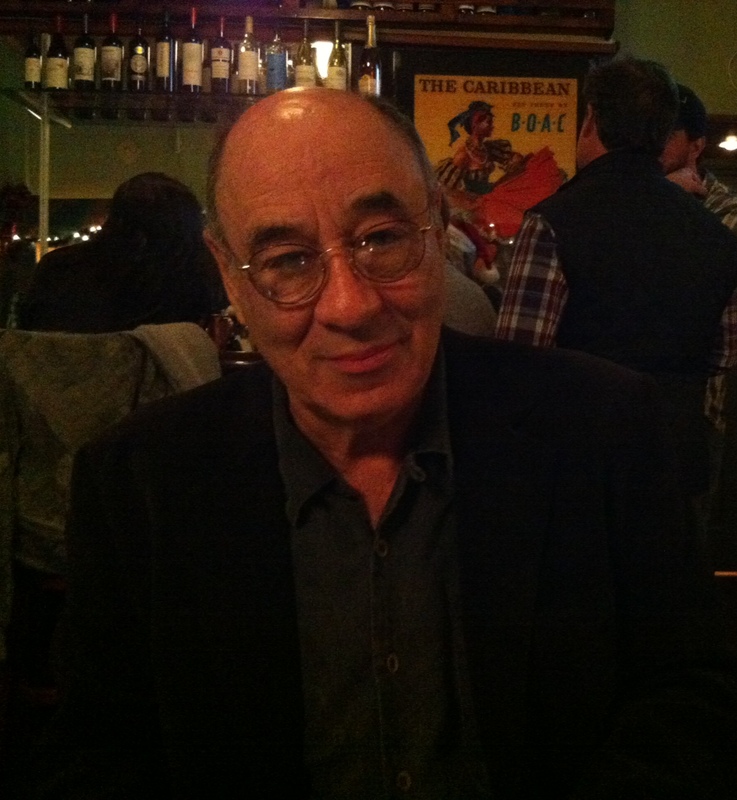 The poetry world was saddened by the loss of influential poet and scholar Alan Grossman. Winner of countless awards, Grossman was known for a serious style that bridged Romantic and Modernist traditions. Amazon Looking to Bury the Hachette? Yes, it’s all about money. As Amazon and one of the big publishing houses Hachette dig in for a fight over pricing and revenue, Evan Hughes at Slate provides insights into a lost opportunity by publishers to thwart the latest Amazon power grab. Chuck Wendig also provides an even handed and humorous look at these two “stompy corporation” on his blog that I highly recommend. I was in graduate school when I picked up a copy of Velocities, a volume of new and selected poems by Stephen Dobyns. I remember being struck by two things that resonated (and still resonate with me): that it is possible to write narrative poetry with imagination and a humane voice, and the way writing without stanzas can help the reader focus on content over form. Our best authors always make us look at how and why we write. I hope you enjoy insights into the writing process of this important poet and novelist. I can’t pinpoint one person. When I started reading poetry late in high school, it was Stevens, William Carlos Williams and Eliot’s “Prufrock”. In graduate school, it was Alan Dugan, Philip Larkin, Robert Lowell and Sylvia Plath. But soon afterward (1967), I found my biggest influence from poems in translation–Neruda, Vallejo, Zbigniew Herbert, Apollinaire, Baudelaire, Rimbaud, Lorca, Alberti, Transtromer, Mandelstam, Akhmatova, Hikmet, Pavese, Ritsos and many others. Later still I went back to sonnets: Shakespeare, Keats, Bill Knott and others. Besides liking the poets, I’d look for poets who would foil my attempts to anticipate what might come next, because at those places within the poem I would find what I wanted to learn. It was also important to me to find poets who were engaged in a conversation with the world and not simply with themselves. Also, the work of most European poets was informed by a sense of history, which I mostly found missing in U.S. poetry. Most recently I’ve found that surprise and sense of history in the Polish poet Tomasz Rozycki. I also read many contemporary U.S. poets, but we share a historical context, which may distort the poem for me, making me often see as strong what might be weak, and see as weak what might be strong. I wait for metaphors which will help me approach non-discursively what is otherwise approached discursively. These metaphors may start with the self and then try to move out into the world, until at make my presence hardly a shadow. The form of the poem, the noise, the manner of its telling also combines into a non-discursive metaphor that compliments or heightens the substance of the poem’s telling. Any poet always has a series of concerns which he or she consciously or unconsciously wants to express, so the hunt for the right metaphor, the right telling, always seems to be going on just before the level of conscious thought. Most simply, I can often set this process in motion by reading other poems, especially image driven poems–Yannis Ritsos, for instance. I don’t necessarily take from these other poems, but my brain, in reading, becomes softened or opened to non-discursive thought. So my waiting is an informed waiting, even if on most occasions nothing happens. At best, it has made me study subjects I want to learn more about. If I don’t read a lot of sonnets and a lot about sonnets when preparing for a class on the sonnet, I’ll humiliate myself. Terror has great pedogogical value. And I’ve been enriched by colleagues and students. But the academic atmosphere can be stultifying. Academics are often tidiers of information; poets–in their search for the right metaphor–can be disrupters of information. This is not a natural fit. There are many academics I’ve greatly admired and have been close to, but for the most part one is sleeping with the enemy. The institutions can be very comfortable and within them poets can become complacent. And deep in their hearts of hearts, etc., the academics have little respect for what you do. As an author of a popular series of mystery novels, what seat at the table do you think genre fiction deserves in the larger discussion about literature? A very small seat, maybe a stool. Most genre fiction offers a physical solution to an existential problem: the bad guy is shot. This trivializes the existential problem. Some genre writers, like John Le Carre, can push the boundaries of the genre and tart up the physical solution with brilliant writing and psychological/intellectual depth, but reader still wants the physical solution: the bad guy is terminally dealt with. In Crime and Punishment, Rodion Raskolnikov, an impoverished student, murders a pawnbroker for her money. A detective, Porfiry, suspects Raskolnikov and gathers information against him. Perhaps Porfiry could kill Raskolnikov in a carriage chase. Justice would triumph, but the existential problem would be forgotten. We even might be somewhat satisfied. But Dostoevsky wants a novel about redemption, not punishment, and so the novel follows Raskolnikov to Siberia where he serves eight years of penal servitude. Here, with the help of Sonya, a former prostitute who becomes his wife, he at last discovers moral regeneration and is redeemed. Whether one likes it or not, Dostoevsky’s investigation of an existential problem is complete. It hasn’t been truncated two hundred pages earlier with a bullet to Raskolnikov’s brain; it moves past a purely physical solution. My explanation is simplistic, but because the best genre writing may explore an existential problem with great subtlety and the book may be written with great skill, those virtues at least earn the genre writer a small stool at the end of the table, almost in the hall. Stop thinking about the question and just write. Your voice will evolve our of your subjectivity, which, after all, is unique. How does being a poet and novelist influenced your work in the other genre? The poems gain in narrative and the novels gain in image, but they are quite separate in my mind. In addition, the books of poems are quite different from one another, as are the novels, apart from the Saratoga series. I try to avoid self-parody. Just being alive is adversity enough. I write to save my life. Stephen Dobyns’ most recent book is a novel, The Burn Palace, published by Blue Rider/Penguin in February 2013. Palgrave released his second book of essays on poetry, Next Word, Better Word, in April, 2011. His most recent book of poems Winter’s Journey published in 2010 by Copper Canyon. His previous work of fiction is a book of short stories Eating Naked (Holt, 2000). His other work includes Best Words, Best Order (Palgrave, 2003), essays on poetry; and Velocities (Penguin, 1994), a volume of new and selected poems. He has also published eleven other books of poetry and twenty other novels. Two of his novels and two of his short stories have been made into films. He has received a Guggenheim fellowship, three fellowships from the National Endowment of the Arts and numerous prizes for his poetry and fiction. Between 1995 and 2007, he wrote more than thirty feature stories for the San Diego Reader. Dobyns teaches in the MFA Program of Warren Wilson College, and has taught at Emerson College, Syracuse University, Boston University, University of Iowa and half a dozen other colleges and universities. He was born in New Jersey in 1941. He lives with in Westerly, RI. Campbell McGrath has been a major influence on my work, particularly my poetic collaborations with John F. Buckley about America on Brooklyn Arts Press. I’m excited that he took the time to share insights into his writing life with us. Please check out his advice on voice–priceless! Always tricky to limit the list of influences, but a pretty obvious answer for me is Walt Whitman, who opened up the scope of American poetry for all who have followed him. In that same American vein, Jack Kerouac and Woody Guthrie, despite their different genres, have been important models for me, along with poets like James Wright and Richard Hugo. On the other hand, poets like Rilke, Transtromer and Basho have taught me essential things–I can’t imagine my poetry without their influence. That’s just the tip of the iceberg. And these days, the sea is full of icebergs. Well, in general the writing process is two-part: the mysterious, internal process by which inspiration guides you to the poem in its original state; and then the hard work of developing and revising the poem to its final form. The first of these resists too much helpful advice from me, or anyone else. Usually my first drafts show up in notebooks, or scrawled on a piece of paper somewhere. From there, I work up a first draft on the computer, print it out, and revise it by hand– then go back and forth between the computer screen and the printed page. The poem has distinct identities in those two mediums, I think. Also, I am a big fan of solving problems in my sleep, and I always try to read the latest draft of a new poem before bedtime, and often wake up with just the missing word or image. I studied poetry in high school, in college, and in an MFA program–and learned a lot. But I only really LEARNED a lot of those things when I became a teacher. When you know you have to stand before a class full of kinds and field their questions, you suddenly realize where the holes and weak points are in your own learning. So you get busy and really master material that you have only digested casually before. I’ve been teaching for more than 25 years, but I still find teaching to be personally educational as well as enriching. Keep writing. Finding one’s voice is an essential starting point for all writers. You can’t find it by thinking about writing– you can only find it while actually writing. The process, like the old Magic 8-ball fortune teller, reveals all the answers. Also I would say this: find your voice, write enough poems in that voice to really master it, and then abandon it. Find another, larger, more ambitious voice– or to switch metaphors, grow your voice, like a plant, for a single seedling to an entire forest. Do you consider yourself part of any school of poetry? How has American history and culture influenced your writing? I write about America very often–about place, travels, culture, and society–which is the world that created me, and that I still struggle to comprehend. So, it has “influenced” me doubly–by shaping my world and making the person I am, that’s the first level. Then it has re-influenced me in that I take up various aspects of our history, say, to write about, as in my fairly recent book, SHANNON: A POEM OF THE LEWIS AND CLARK EXPEDITION. It’s a big world, with lots to write about, but I find America endlessly intriguing. …a piece of art made entirely of words. Writing poetry is nothing but adversity. It’s really hard, it takes up all your time, it obsesses you–but it pays little or nothing. So you need a day job, and poetry is therefore a second, unpaid career you practice in your time off. I happen to be at the lucky end of this spectrum, with a good teaching job, and the receipt of several awards which paid me actual cash money. But even so–poets get all the respect in the world from me, simply for persevering in the face of economic reality. I am a big sports fan–Baltimore Orioles, Washington Redskins, Miami Heat, New Zealand All Blacks, Barcelona–that’s five sports but I could ​ name others if I tried. 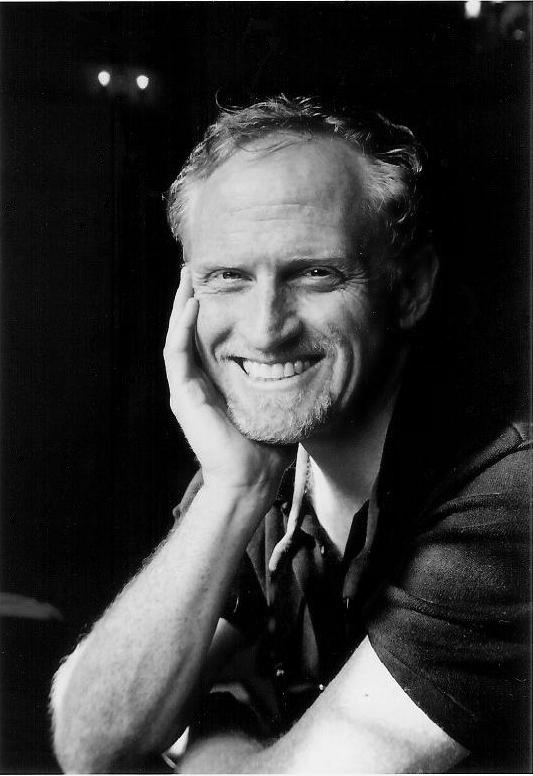 Campbell McGrath is the author of ten books of poetry, including Spring Comes to Chicago, Florida Poems, Seven Notebooks, and most recently In the Kingdom of the Sea Monkeys (Ecco Press, 2012). He has received many of America’s major literary prizes for his work, including the Kingsley Tufts Prize, a Guggenheim Fellowship, a MacArthur “genius” Fellowship, a USA Knight Fellowship, and a Witter-Bynner Fellowship from the Library of Congress. His poetry has appeared in the New Yorker, Harper’s, The Atlantic and on the op-ed page of the New York Times, as well as in scores of literary reviews and quarterlies. Born in Chicago, he lives with his family in Miami Beach and teaches at Florida International University, where he is the Philip and Patricia Frost Professor of Creative Writing. I can’t think of a better way to celebrate National Poetry Month than with an interview with one of our best, brightest, and most influential poets Rae Armantrout. My copy of Versed is pretty dog-eared at this point, and I have a soft spot in my heart and a big place on my bookshelf for quintessential California writers. 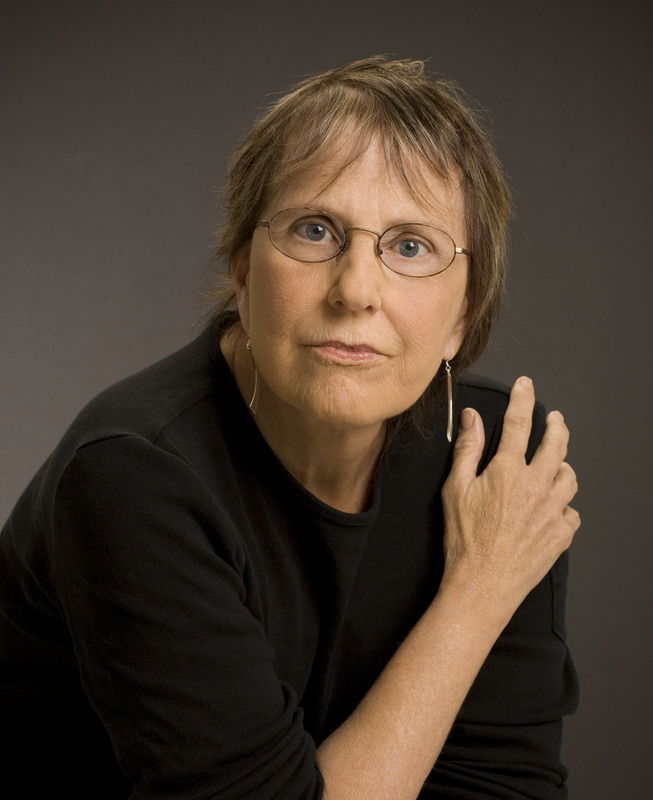 Early on I was influenced in different ways by William Carlos Williams and Emily Dickinson – Dickinson because she was a fearless thinker and a woman. When I was growing up it was still assumed that women would restrict themselves to thinking about love and domesticity. She used poetry to confront and argue with God, death, etc. But I think I got my line from Williams. His work is quite sonically beautiful even when it’s minimalist. And then, among my contemporaries, Ron Silliman has had a huge influence on my writing because he is willing to read my drafts and give me his honest opinion. And, because he’s been reading me so long, his takes on my poems are really astute so he knows when something isn’t quite done or when it is but I won’t stop fiddling with it. I make handwritten notes in a journal first. The note could be an observation. I might write down a snippet of overheard conversation, or a bit of something I read, or a response to something I read, or a description of something I see. Often there’s an unresolved feeling in these notes or an idea I can’t quite put my finger on. Then I feel like a detective because I’m going after that “thing” I sense. Maybe I try to write more in the direction of the feeling/thought (I don’t separate the two) as if I were following it. Other times I wait for more information to appear. Sometimes the poem happens when there are enough elements (bits) that feel somehow related. Then I start stitching the parts together. By this time I’m working on an iPad or computer. I usually go through a lot of drafts. I’m not sure. Indirectly. Once in awhile I actually do a take-off on something I catch myself saying to a class. I think, did I really say that? Do I mean it? And I go from there. And sometimes I’m “inspired” by something I read for class. Right now I’m team teaching a class called Poetry for Physicists with an actual physicist, Brian Keating, who played an important role in the recent discovery of gravity waves! So he got famous just as we started co-teaching! I’ve been trying to think of ways to discuss literary essays and poems with science students. That has been an interesting stretch. Two days ago I actually made a (simple) flow chart for the first time in my life! So we’ll see what comes of that! Well The Waste Land was originally called He Do the Police in Different Voices. I think that’s an excellent title. My advice is to realize there are lots of voices in your head. Let them all come out and play. I do. We’re like fish that way I guess. We school. Seriously, I was educated by participating in the Language Poetry revolution. Those poets are my real colleagues. But we’re all very different writers. Always were really. How has living in California shaped your poetic voice and sensibilities? I’m a California native. I’ve always lived here so it’s a little like asking the proverbial fish what the sea is like. That said, I think my time in northern California gave me a particular poetic education. And the space, light, and flora of southern California enter my poems as images all the time. I came from literary nowhere. Neither of my parents went to college. I started reading on my own and I ended up at Berkeley which was the beginning of a shaping experience. But when I was starting out, I didn’t have a very strong sense of what was looming above me, if you see what I mean. I didn’t know enough to be intimidated or feel overshadowed. Oddly, that may have worked to my advantage. I was dancing by myself so I wasn’t inhibited. Well, my answer above describes the first adversity I faced. I started out behind and I didn’t even know it. Only someone as insanely stubborn as I am would have decided, standing on the sidewalk in front of a suburban convenience store, that she could be a poet. I didn’t even realize that the world was losing interest in poetry! Sometimes not knowing anything is an advantage. I did know about sexism though. When I tried showing my high school English teacher my poems, he said, “Women can’t write poetry.” That just made me angry. Anger too can be helpful! If I haven’t already said it, I probably don’t want people to know! But here’s an easy answer. I like to dance. I listen to top 40 radio in my car. And I play “The Fame Monster” (Lady Gaga) and “My Head is an Animal” (Monsters and Men) often when I’m driving. Bob Dylan and The Stones as well.